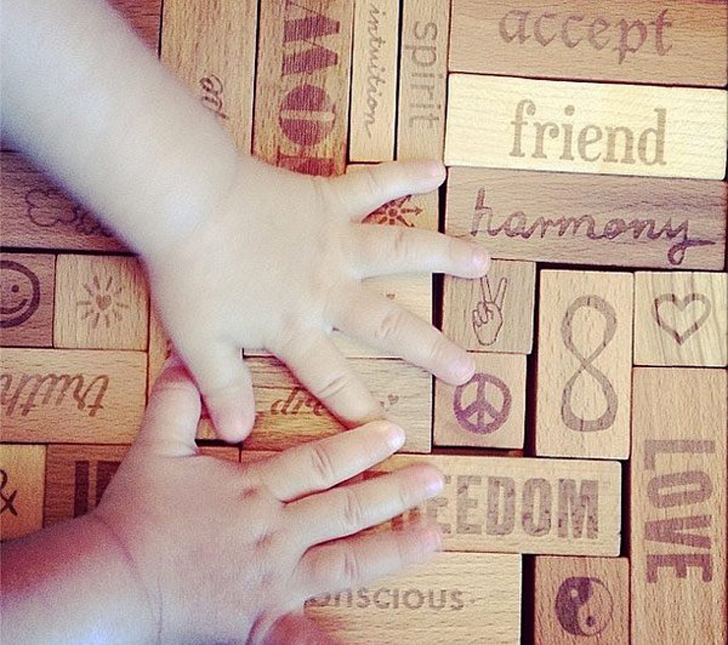 Wooden Story's wooden block sets are basically the building blocks of our dreams. Made of wood from FSC-certified suppliers? Check. Naturally colored or painted with eco-certified, chemical free colorants? Yup. Finished with beeswax and botanical oils and sanded down to be soft for little hands? But of course! Inspired by nature and handmade by a three generation family business? You got it. The only other thing we would ask from these blocks? Only to have as many of them as possible! Made in the mountains of Poland, Wooden Story blocks are available in sets of different sizes (from 29-100 pieces) and also several styles. The most basic blocks are natural wood colored and also blend easily with any existing block set. The rainbow block sets are richly pigmented and will inspire your tots to make colorful castles, rocket ships, and towers. Our favorites are the Peace and Love set which includes blocks engraved with words including peace, love, conscious, freedom, truth, accept, and happy as well as a few symbols. 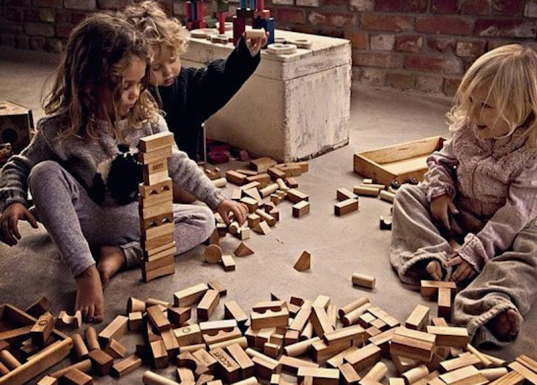 We can’t guarantee these thoughtful blocks will make all little ones open to sharing with their playmates, but we love the idea that they are gently being exposed to these ideals while they build and play. Each set comes in either a reusable bag or a solid wood box for convenient and quick toy pick-up. Made in the mountains of Poland, Wooden Story blocks are available in sets of different sizes (from 29-100 pieces) and also several styles. The most basic blocks are natural wood colored and also blend easily with any existing block set. The rainbow block sets are richly pigmented and will inspire your tots to make colorful castles, rocket ships, and towers. Our favorites are the Peace and Love set which includes blocks engraved with words including peace, love, conscious, freedom, truth, accept, and happy as well as a few symbols. We can't guarantee these thoughtful blocks will make all little ones open to sharing with their playmates, but we love the idea that they are gently being exposed to these ideals while they build and play. Each set comes in either a reusable bag or a solid wood box for convenient and quick toy pick-up.